Setting up a blog can be tricky whether for personal use or setting up a small business. I have written a few blogging tips before including My Top 10 WordPress Plugins and decided to share a few more tips on setting up a blog/website. Choosing a Domain Name is the first and most important step. It needs to stand out from the crowd whilst reflecting what your site is about. Always make sure you check to see if your domain name is available. Check to see if it is used anywhere else or could be confused for a similar name. Choosing a reliable host is so important, people won’t return if your site is always going down. A host that offers support is always a bonus which is why I like 1&1. They are easy to talk to on the phone even if you have anxiety like me. There are plenty of hosts and plans available so look around and read reviews too. Selecting the right platform for what you want is one of the first decisions to make. I personally prefer WordPress as I just can’t get my head around Blogger. I find WordPress is much more user friendly and with so many plugins available including woo commerce it is perfect for any type of website. There are others available, each will have different packages so take a look around and work out what is right for you. The next step to setting up a blog is creating your branding. Your branding needs to be strong, it is what helps you stand out from the crowd. Choosing the right design, colours, style and logo for your site is very important as it is the first thing visitors to your site will notice. If you are unsure what works best there are plenty of web design companies that can help work out what is best for your brand. Create relevant pages such as a contact us page, about us, testimonials, products etc. It helps to create a few pages and posts before sharing elsewhere so your visitors have something to browse. Whilst I personally don’t feel you have to fit an exact niche creating relevant content for your readers is important. I don’t fit one single niche however I have readers who just visit specifically for tips, parenting posts, product reviews and mental health rambles. Creating categories helps with this. Anyone that visits my site can select a category from the top and go straight to the relevant posts. Create and connect social media accounts on the relevant platforms. LinkedIn is great for those looking to connect with other professionals. Facebook, Twitter, Instagram, YouTube may be needed depending on your type of blog or small business. Connecting all your accounts makes it easier for readers/customers to find you. SEO (Search Engine Optimisation) determines how you rank through search engines such a google. Learning SEO from the start can save months of trawling through blog posts and pages. There are so many SEO guides online and they are well worth the watch/read as they can help your ranking dramatically. Google analytics provides useful insights into your users, their demographics, best performing posts, referrals and more. This is a useful tool to learn more about your customer/reader and what they are looking for more of. You can create more useful content for your readers which generally leads to more visitors too. 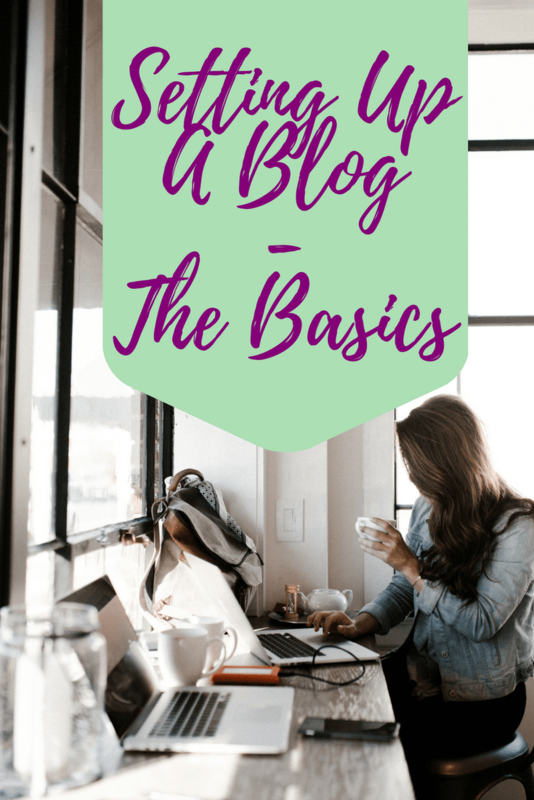 Once you have covered these basics of setting up a blog or business site you are ready to go!